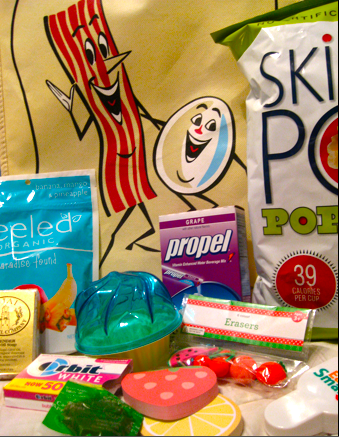 This entry was posted in Giveaway and tagged bacon and eggs, caramel apple lollipop, eat smart, eat smart tape measure, enter for a chance to win, facebook, food erasers, free giveaway, giveaway, ojai olive oil soap, peeled fruit snacks, propel, skinny pop popcorn, win. So who won the last giveaway???? The popcorn would be my favorite! Never tried skinny pop but I’m sure it’s relish! Congrats on the FB fans and on your 9 lbs!! I love the SkinnyPop, which I first heard about from you, but those erasers call out to my school supply-loving heart. Oh, I just thought of a treat we could add! Yay for 9lbs!!!! *super high five* and just for kicks (and because free stuff is awesome), I’d say I’m pretty stoked about the dried fruit snacks. But that’s because I’m a starving twenty-something with a seriously limited grocery budget. lol. And you had me at individual cupcake holder….just sayin’. The Skinny Pop looks good, too! I haven’t found any to try yet. My favorite would be the caramel apple lollipop. I’m ready for fall!! I’m intrigued by this soap. Have you ever made your own? It’s a fun way to ‘cook’ without having to eat. I love that cupcake holder! How cute! But that’s awesome you’ve got to 150 on FB, nice range of peoples!!! I’m proud of you, sistah! My favorite item would have to be the Skinny Pop! I just LOVE popcorn!! And I’m going to tweet about this right now! Congrats on the fans and the 9lbs loss! Way to go lady! A source of insiration for sure.I’d love to try the peeled organic dried fruit snacks! I’ll tweet and fb to pass this along. Oribit Gum is my favorite in the giveaway because I really like bubblegum (duh!!)! Now, if I win, then I might like the other things a ton too! Oh I just did a tweet for the giveaway! I’m a total sucker for any kind of popcorn, so that Skinny Pop is calling my name! That, and that cupcake holder…too cute! I am dying to try the skinny popcorn! I love popcorn, but have never found a good low-fat version! I am dying to try the skinny popcorn. I love popcorn, but have never found a good low-fat version! I think my favorite would be the SkinnyPop, never had it yet but sounds delish!! Honestly, I think the eggs and bacon bag is the cutest thing I’ve ever seen, but everything else I would love as well!!!! 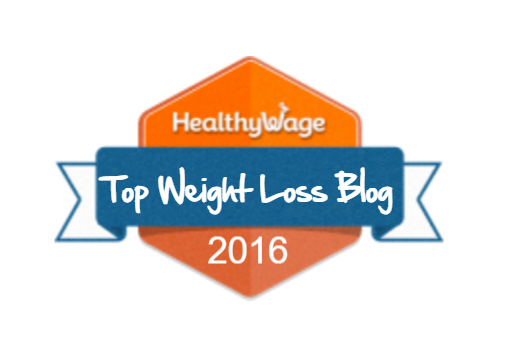 Congrats on your blog Alyssa! Keep up the good work! Why I’d love the bacon and egg vessel, myself! Now enter me again, por favor! Congrats on your 9 pounds lost, btw. I’ve lost my Mexico vacation 4 pounds, so I’m back to square one…sure could use some goodies from that bacon bag! I love the fruit post-its!!! So cute!!! And so exciting that you have so many followers. Keep up the good work. That’s awesome that you’re down 9 lbs! Woohoo, fan #’s are going up and weight #’s are going down!! Congrats girl! PS adorable giveaway! I’m looking forward to the semester starting so I can become a regular at the SRC. You’ll have to keep me posted on when you go! I think the cupcake holder!! I love cooking! I want my own bakery sometime!! And the cupcake holder would inspire me more!! The prople sticks!! Get for sports!